Not long after you graduate from college, adults begin their conversations with a predictable question: WHAT DO YOU DO? Children, however, will translate that question to mean WHAT IS YOUR JOB? When I am asked how I spend my time at work, I have a lot of explaining to do. I am a doctor, but not a medical doctor. I am an explorer, but not on the high seas. I am a detective, but not for the police department. I am a discoverer, but not of artifacts. I am a teacher, but not in a classroom. I am a diagnostician, but not a test administrator. 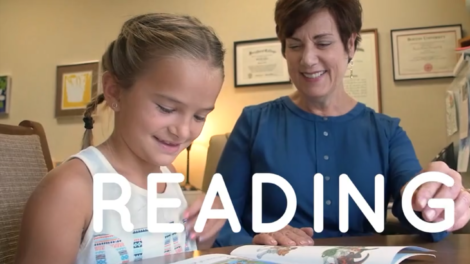 I Have the Best Job… I teach kids how to read and how to read to learn. That is my job. I direct a Reading program at Focus on Learning Center where I see children and teenagers individually for one-hour sessions, once or twice per week, every day except Fridays and Sundays. Getting Ready for Work! I ask myself many questions when I get ready to work: How will I teach my student in his area of strength in order to overcome difficulties? How does my learner make sense of the ideas and words on a page? How can I encourage my student to develop a deeper understanding of the text and be able to ask questions that involve explanations, interpretations, applications, and self-understanding? (Wiggins & McTighe, 1998) How will I guide my learner to analyze, generalize, and evaluate what she is reading? As a teacher, I am eager to learn about hemispheric dominance, natural intelligences, and diversity in learning styles, and I modify my teaching practices to ensure that my student makes sense of his or her reading experience. I resonate with author and literary consultant Deborah Wolter who recommends many “restorative literacy practices” to bridge the gap between what is good practice for fluent readers and what is common for struggling readers. These practices help students move from struggling to proficient readers. As a Reading Specialist, I work to create opportunities for kids to make connections between what we read and their own experiences. Here at Focus on Learning Center, we provide young readers with resources and a nurturing environment to improve their reading comprehension, vocabulary and reading fluency. Call 573-875-5187 for more information or visit us at www.Focusonlearningcenter.com/services/subject-tutoring/reading-intervention/.